The PSE results were released today as promised - and this year, it's only an 11 page press release; usually, it's over 20! "I feel totally satisfied. I feel joyful. Its hard to explain my feelings, its just good feelings." "Tell us about getting to this point. Is it something that you worked very hard for?" "Yes sir, this is something that I had studied for, I had tried hard for - this accomplishment is truly amazing." "We were doing tables drill with them and we received a call from Mr. Dwayne Moody and he said to me 'would you have a picture to send of your student who came in first?' I said sir what are you talking about? and then I just ask the children to be quite and then I ran to the principal and to all the teachers with the phone at my ears and we were just so excited in the school yard, all the children just ran out when they heard us screaming. So it's a real big win for us today." "This is a humble school, it's a school that always tries hard, honest and hard working teachers." "I feel really good because it's the entire country and to come in 4th is like coming in the top 5 and its a good feeling because I know I did very well in the PSE." "I am told that this is a first for your school. How proud are you to represent your school and did so well?" "I am very proud because I wasn't expecting so high in the PSE." "Have you heard anything from your teachers, have you told anyone about how well you did at your school?" "Actually not yet, because the news just came in about 15 minutes ago." "So they will see you tonight on the news and that's when they will know." 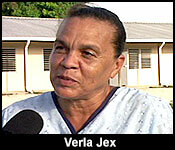 Ashton Tillett wants to enroll at Edward P. Yorke High School. Rounding out the top ten are second place finisher, Andres Hung, from Lady of Guadalupe in Cayo, Kenyah Hyde from Bernice Yorke in Belize City, you just saw Aleesa Castillo from La Immaculada in Orange Walk, Veronica Peresedova from St. Andrews Anglican in Cayo, Avaunt Kelly from Queens Square Belize, Myles Coombs from St. Andrews Anglican in Cayo, Jingqi Liang from the Shepherds Academy in Belmopan, Larry Palma from Holy Angels in Stann Creek, and Shanelle Palma from Holy Redeemer in Belize City. Tomorrow, we'll speak to some of the other top ten finishers. And while we celebrate their brilliance - most of the 7524 students who took the test didn't do as well. But there are some slightly encouraging numbers to report this year: This year's figures show that in English, half - 51% - of the students had a C or better. This is up from the 47% the previous year. But, still the average grade in English is 58.4. In Math - there was a decline: 36% of test takers - compared to last year's 39% had a C or better. More than half the students got a D in Math and 47% scored an E, which is below 49 out of a hundred. There is a sharp decline in Social Studies, where 71% of the students got a C or better last year, and this year , and this year that figure tumbled to only 58% getting a "C" or better. The grades in science were about stable - with most of the students, 77% of them earning a "C" or better. That's only down slightly from 79% last year. The Primary School Examination (PSE) results are out and were handed down to school principals on Thursday June 12th by the Ministry of Education and Youth. According to the Ministry of Education and Sports, a total of 7,551 candidates registered for the PSE of which 7,245 candidates actually sat all parts of the exam this year. Of the top 25 outstanding students countrywide, two are from San Pedro Roman Catholic School (SPRCS): Shanelle Palma and Kylie Alamilla. 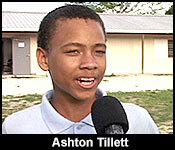 Ashton Tillett of Crooked Tree Government School in the Belize District captured 371 out of a possible 400 points and was the top student countrywide. 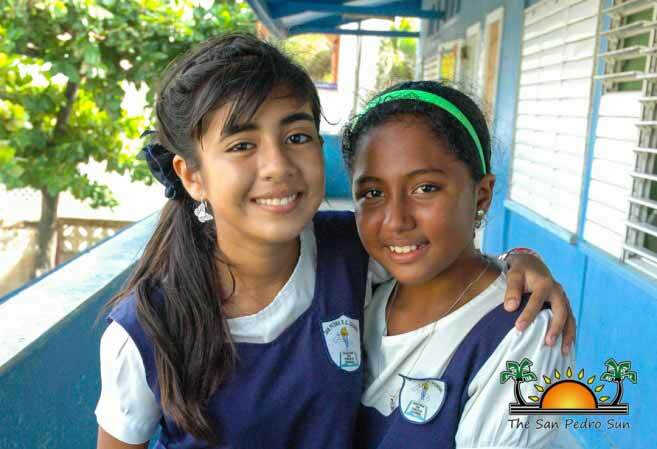 There was a tie for second place as Andres Hung of Our Lady of Guadalupe School in the Cayo District and Kenyah Hyde of Bernice York in Belize City both captured 369 out of 400 points. With a score of 363 of a possible 400 points, Shanelle Palma received an average of 90.8%. She tied for 9th place countrywide along with Larry Palma of Holy Angels School in the Stann Creek District and Jonathan Alpuche of Holy Redeemer School in Belize City. “I am over excited, and I don’t really know if I want to cry or scream,” said a very happy Palma. She “I knew I was going to do well but I certainly did not expected to be the top student on the island” She added, “I studied hard, and my teachers worked very hard with us, offering morning and evening extra classes. My parents also encouraged me to do my best. I am really thankful to my teachers and parents because their investment in me helped me to perform well.” Shanelle will be attending Corozal Community College in the Corozal Distict. Also in the list of top 25 students countrywide is Kylie Alamilla of SPRC. She captured 361 out of 400 points earning her an average of 90.2%. She placed 13th countrywide, along with Corey Garcia of Bishop Martin Roman Catholic School in the Cayo District, Jonathan Murillo of Belize Elementary School in Belize City and Geon Codd of Saint Andrews Anglican School in the Cayo District. “I am extremely excited and happy. I prepared myself and studied very hard, so I expected a good result. 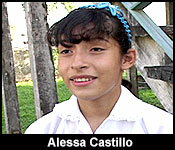 Both my parents and teachers helped me along the way,” said Alamilla who will be attending the San Pedro High School.